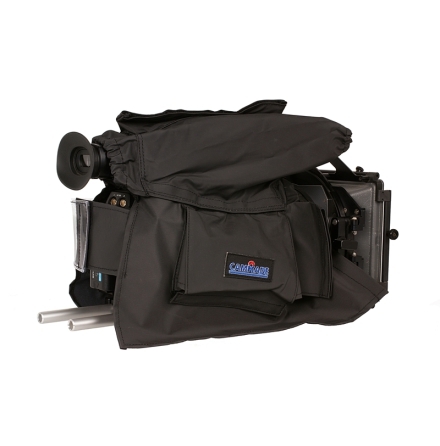 The camRade WS PXW-FS7 rain cover is designed specifically for the Sony PXW-FS7 camera. 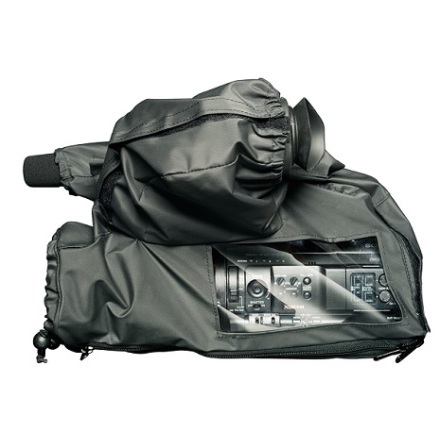 The noiseless fabric reduces unwanted sound effects caused by wind/rain and reduce the chance of the camera overheating by allowing hot air to escape via the breathing material the cover is built from. The wetSuit PXW-FS7 has a clear vinyl window for visibility when adjusting menu, audio input select level, and other controls. It also covers the XDCA-FS7 Extension Unit, handgrip. 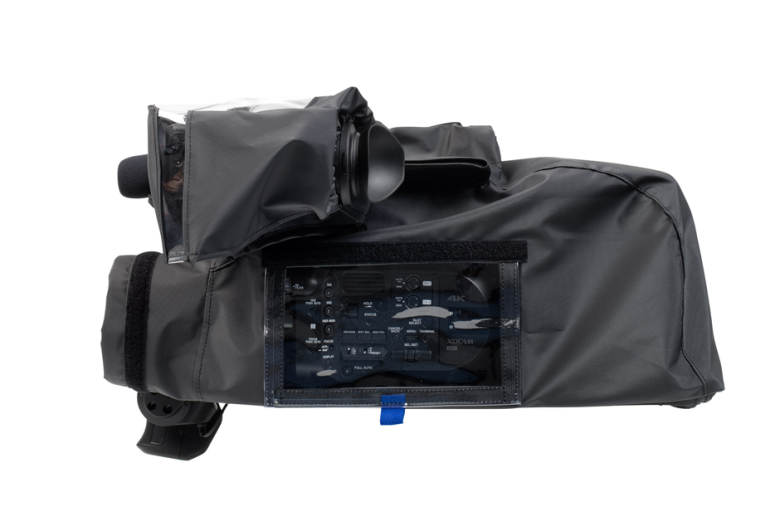 The camRade's wetSuit PXW-FS7 comes standard with an extension for large lenses, handgrip and viewfinder cover. This all is packaged in a waterproof fiddle case. How can I best put on a wetSuit over my camera? How can I best clean my wetSuit? 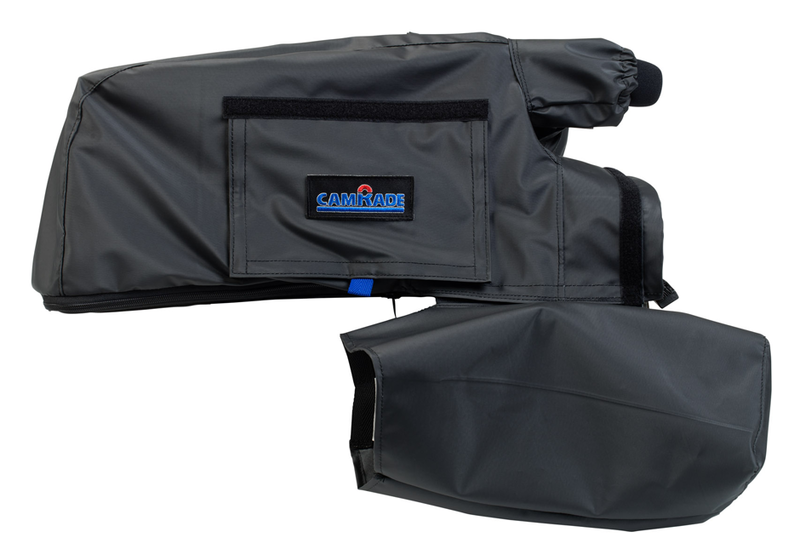 camRade wetSuits are made of a special water-resistant fabric and can be cleaned with a moist cloth with water (if desired with mild detergent) or can be washed in the machine at a low temperature setting (maximum 30°C) and mild detergent. Air dry.